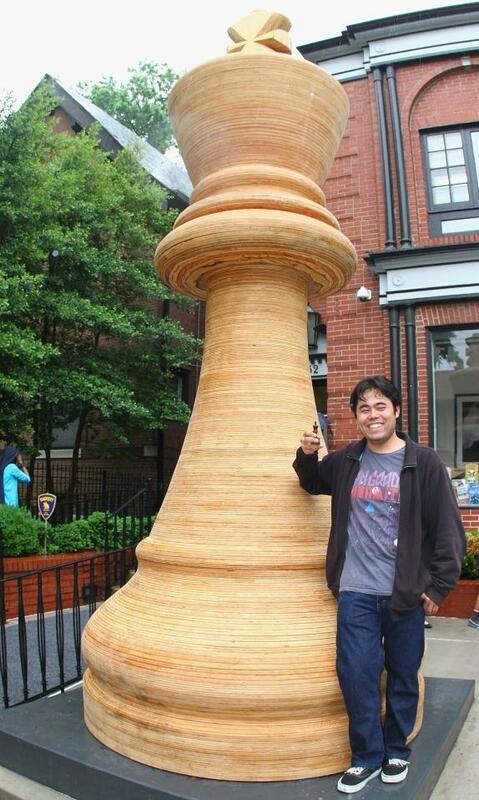 Hikaru Nakamura stands next to the world's largest chess piece, unveiled this week at the U.S. Chess Championships at the Chess Club and Scholastic Center of St. Louis. In an interview with NPR's Michel Martin for Tell Me More's series on Asian-American "game changers," Nakamura says the comparisons with Fischer are always present. In 2003, at the age of 15, Nakamura became the youngest American chess grandmaster. In 2005, he became the youngest player to win the U.S. Championships; he won it again in 2009. Now, at the age of 24, Nakamura is ranked seventh in the world, and is believed to have the best chance of any American since Fischer to take the No. 1 slot. But he doesn't mind the pressure that comes with that role. 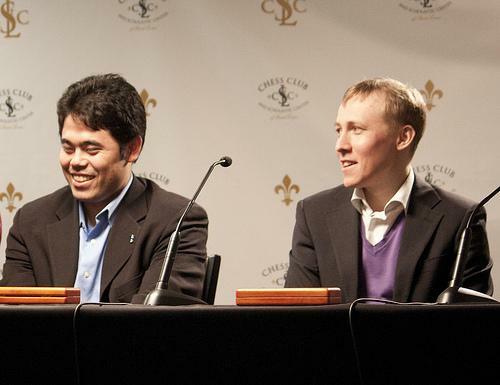 "What Bobby Fischer did for chess in America was great," Nakamura says. "I feel like I have that chance, that opportunity to get to world champion, to raise the profile of chess, and ultimately that's my goal." Heading into the U.S. Championships, Nakamura was 10 points shy of breaking Fischer's record for most points earned in his chess career. To prepare, Nakamura pores over databases of past games, looking at his opponent's first few moves, searching for any kind of weakness. All grandmasters look for "some sort of nuance, where our opponent will feel a little bit uncomfortable," Nakamura says. But unlike other players, Nakamura says, he doesn't easily accept draws, or ties. He's in it to win, even if it means playing grueling matches that last for hours. "Ultimately, I try to intimidate my opponents, I try to scare them," Nakamura says. "I try to get any advantage, little edge that I can." He doesn't throw chess pieces, he doesn't stare down his opponents, but he's not willing to give too many compliments, either. His self-proclaimed "anti-establishment" attitude, along with his aggressive playing style, have earned him the nickname "The John McEnroe of Chess." Plus, he hates to lose. Nakamura began playing chess at the age of 7. In his first tournament, he lost all four games, and he says that initial experience, along with a subsequent losing streak, pushed him to get better. "It sort of was a way of motivating myself to try to be better, because I hated losing," he says. "I just wanted to win more and more, and through that I started slowly progressing." Now, with two U.S. Chess Championships and the No. 1 U.S. ranking under his belt, Nakamura says he wants to use his chess stardom to inspire other kids to take up the game. He says he hopes kids playing chess will look at him and think, "One day they can maybe become as good as I've become, or become world champion." And now, we turn to game changers. May is Asian-American and Pacific Islander Heritage Month and, all this month, we are talking to people who trace their heritage to that part of the world and who have made a difference in whatever field they happen to be in. Today, we are visiting with a game changer in the world of chess. The 2012 U.S. Chess Championships are taking place in St. Louis, Missouri, this week and next and the spotlight is on America's top-ranked player, Hikaru Nakamura. In 2003, at the age of 15, Nakamura became the youngest American Chess Grandmaster. 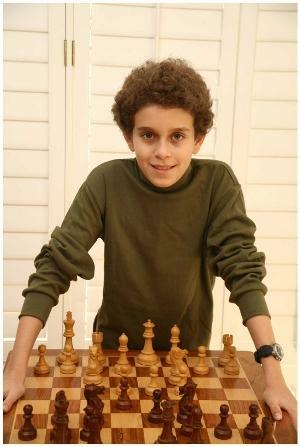 In 2005, he became the youngest player to win the U.S. championships. He won it again in 2009 and, at the age of 24, he's ranked number seven in the world and closing in on Bobby Fischer's American record for most points earned from winning matches. He's also believed to have the best chance of any American to take the world's number one slot since Fischer did it four decades ago. And Hikaru Nakamura is with us now. HIKARU NAKAMURA: Thank you for having me here on the program. It's a pleasure. MARTIN: And I think we should note that we are speaking to you in advance of the championships. I don't want people to think that you're skipping out on the championships to talk to us on your lunch hour, so just to establish that. Do you mind if I ask how you are preparing? Is it a secret? NAKAMURA: Not exactly. No. With chess, much of the focus on preparation deals with databases and, in large part, due to the Internet advancements recently, where all the major games are played and broadcast on the Internet, so therefore, a lot of the players have access to all the games that their opponents are playing and, because of that, we're all sort of studying, looking at the opening phase, the first five to ten moves of the game and trying to find an advantage and find a little weakness or some sort of nuance where our opponent will feel a little bit uncomfortable and perhaps the pressure will make them do something that, you know, they normally wouldn't do or they'll make some slightly inferior moves. MARTIN: Can you remember now what drew you to it and why you were so determined to stick with it, even at that very young age? NAKAMURA: Well, I think, in large part, when I first began playing chess at seven years old, I was quite bad at it. I lost a lot of games when I first started. In fact, the first time I ever played, I lost all four games, so it certainly wasn't an auspicious start, but because I lost so many games when I first began, it sort of was a way of motivating myself to try and be better because I just hated losing. And so, therefore, I just wanted to win more and more and, through that, I just kept slowly progressing and, eventually, I - you know, I became a very strong chess player. MARTIN: What does it take to be as good as you are? Do you think it's a gift that you have? Is it the preparation? Is it the tenacity? I mean, what is it that you think makes you great? NAKAMURA: I think it's a combination. 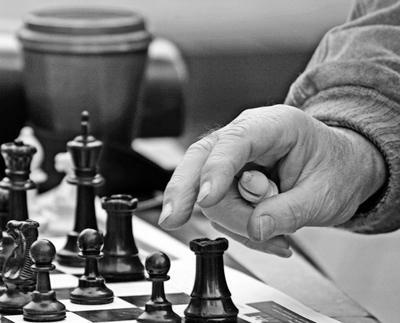 You have to have a certain natural ability and talent to become a very strong chess player, but at the same time, you also have to have a very strong mental will, the ability to get past losing games to just move ahead and focus on the next game that's coming up because, in many ways, it's very difficult because, during a tournament, if you lose a single game, it can really demoralize you. And so finding ways to get past it and focusing on the next round to the bigger picture of the whole tournament and trying to win, it's difficult. But I think it requires those two factors more than anything. MARTIN: I understand that you have an aggressive playing style, which is what many of your fans love about you, but some in the chess world have referred to you as the John McEnroe of chess and I don't think they mean it as a compliment. What are they talking about? MARTIN: Well, what do you do? Do you stare? Do you do a stare-down like they used to do in boxing? Come on. Give me some tips. If I have to intimidate my opponents, I want to know. I want some Nakamura tips. NAKAMURA: Well, I think the main thing is that, you know, certain players - you know, I'll criticize their style. I'll say they're too passive. They'll take quick draws where each player gets half a point early on in the game instead of just fighting for six or seven hours trying to crush their opponent to destroy them. And I will always try to do that. So there are a lot of little things that my style is different from most of the best players because most of the players come from Europe and, in Europe, there's a different style to chess than there is in the United States. MARTIN: Well, you know, what about that whole U.S.-Europe thing? I mean, when it comes to chess in the U.S., Bobby Fischer's shadow still looms large and you, of course, know this because people are constantly hoping that you are kind of the great American hope to regain the number one. Is that just a bit much? Do you wish people would stop saying that or do you find it, you know, motivating, perhaps? NAKAMURA: It's a bit of both. I think, in many ways, what Bobby Fischer did for chess in America was great. He became the world champion. He raised the profile to levels which weren't seen before and haven't been seen since, so I think, in some ways, there's a lot pressure to try and perform. But, at the same time, I feel like it's inspiring because there are a lot of players, still, who were growing up during that era or who were adults at the time who still play chess. And so I feel like I have that chance, that opportunity to get to world champion to raise the profile of chess and, ultimately, that's my goal, so it's a little bit of both, in terms of the pressure versus the performance. But, you know, you can only play the game and try to perform at the highest level and I feel, at the moment, I'm really doing a good job of playing at the very top and, hopefully, I will get to world champion. MARTIN: The U.S. Chess Championships are taking place this week. We're speaking with the top-ranked U.S. player, Hikaru Nakamura. And you know the former world champion, Garry Kasparov, said about your win at last year's Tata Steel tournament that your performance was, perhaps, better than any of Fischer's and, perhaps, the best by any American in the last century. Whoa. Do you agree? I don't know what to say to that. That's kind of a tough thing to sort of - I'm inviting you to immodesty. NAKAMURA: It was a great result and I'm certainly very proud looking back on that tournament, but once again, my goal is to get to world champion. So even though I won that tournament and I've won some U.S. championships, as well, getting to world champion, trying to reach the same levels that Bobby Fischer was at during the '70s and the Cold War, that's really, I mean, my ultimate goal. So it's going to be a fun ride and, you know, I have a lot of years ahead of me and we'll see what happens. MARTIN: You are in the center of American chess. I mean, St. Louis made headlines when the entire chess team at Texas Tech transferred to Webster University in that city. You've made your home in that city. You know, the Scholastic Center and the World Chess Hall of Fame are located there. I understand that some of that has to do with the fact that there's a particularly interested financial donor there who has contributed greatly to that. But, you know, the most important tournaments are still in Europe. And you've said several times in our conversation that you'd like to raise the visibility of U.S. chess. What difference do you think it would make to raise the visibility of U.S. chess? Why do you think that matters? NAKAMURA: I think it matters because of what chess brings to the table in terms of the general skill set that it requires to play chess. It's been shown to improve the critical thinking skills, as well as reading and writing. And, in many ways, chess, I think, is a microcosm of the bigger picture where you play a game of chess and you try to make the best decisions and, when you look at life, I feel that it's much the same way where you try to evaluate the decisions. You try to make the best decisions. And so I think chess, in many ways, helps with that. And, here in St. Louis, for instance, there are a lot of chess programs in many different schools in the greater St. Louis area. I think there are maybe around, like, 70 or 80 schools. And when you see what chess has beyond simply the professional level, what it can do for kids and for education, I think that that's the greatest benefit, overall. MARTIN: You've been described as a game changer by a number of people for a lot of reasons and this is the month when we observe Asian and Pacific Islander Heritage Month and we've been looking at people who are game changers. And I just wondered whether - does your ethnicity mean anything to you? Do you feel like you're, in a way, a role model and kind of showing people what's possible? Or does that just not come up in your world, which is such an international sport? I don't know - or game. NAKAMURA: I wouldn't say it comes up that often because, at the moment, there aren't a lot of very strong Asian chess players. I mean, there are certainly some strong players from China. Not so much from Japan, unfortunately, where I'm originally from, but there are a lot of kids who are playing chess now of Asian descent and so they tend to look up to me. It's certainly an honor to have kids who are looking up to me, but at the same time, I'm just trying to do what I can to raise the profile of chess. MARTIN: Who do you hope is looking at Hikaru Nakamura and being inspired? NAKAMURA: I really - I think, you know - or at least I hope it's the kids who are playing chess in schools who are thinking, one day, they can maybe become as good as I've become, become world champion and, really, just to inspire the kids to take up the great game of chess. MARTIN: What do you do when you're not playing chess? NAKAMURA: I play quite a bit of tennis on the side. I'm into hiking and mountains and I follow hockey and basketball pretty avidly. MARTIN: OK. Well, make us proud. NAKAMURA: Thank you. I'll try my best. MARTIN: Hikaru Nakamura is the number one ranked chess player in the U.S. He's playing this week in the U.S. Chess Championships in St. Louis and we caught up with him there in advance. Hikaru Nakamura, thank you so much for speaking with us and continued success to you.